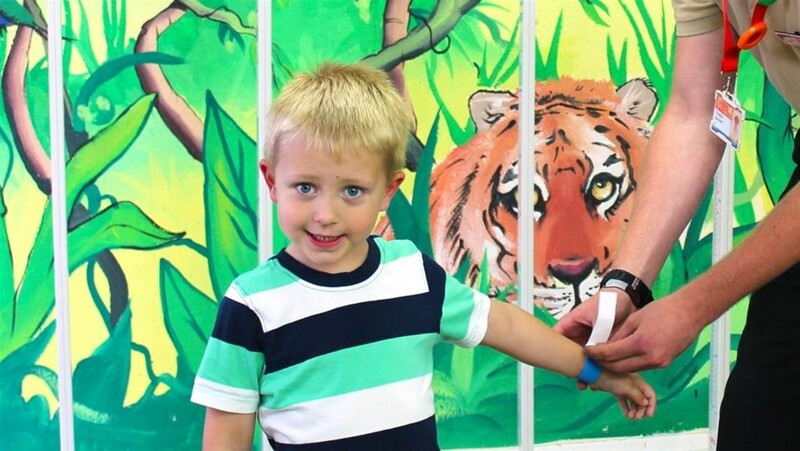 Children love wristbands. Why not then use them to make children love your event even more? Safety, high quality and hypoallergenicity are actually common requirements for any kind of products for children. And that’s what the properties of our wristbands are. Just add some beautiful colours, shiny glare effect and mosquito repellent impregnation when needed – profit! You get a perfect solution for any kids oriented event. Reflective slap on bracelets – are flexible steel bands with reflective PCV coating. The glare effect of the coating makes this bracelets a perfect solution for dark hours safety matters. When unfolded, the reflective wristbands can be also used as rulers or bookmark ribbons. Just one slight clasp – and the ribbon is back on the wrist. And the distinctive “slap” the bracelet emits while folding is really something neither kids nor adults can resist. In our offer you will find a range of 35 colours available for the reflective PCV coating. Vinyl wristbands. Loved by both children and adults for their stylish look and saturated colours, these bands are durable enough even for waterparks. Equipped with adjustable fastening, these bands assure safe and comfortable wearing even while hours and hours of water sport activities. The colour palette comprises 18 tones including silver, gold and 4-hologram tints. Silicone bracelets for children by now became an object of a real cult among kids. Children simply love to collet, trade and give silicone bands as presents, or use them as various games items. Flexible, durable and, what’s important, non-sensitizing, these bands are just meant for children. Mosquito repellent wristbands – are just irreplaceable for summer time activities. The natural, human-safe impregnation used for these bracelets ultimately scares off almost every kind of disturbing insects. Wristbands are perfect for kids of all ages. Multipurpose, cheap and available in various materials and colours, bracelets perform an unparalleled advertising medium. Just remember, that wristbands’ marketing efficiency largely depends on their quality. That’s why the best option is to order them directly from the manufacturer. Not only will it allow to save your funds and get a truly customized product, but also receive a warranty of fast and precise post selling service.